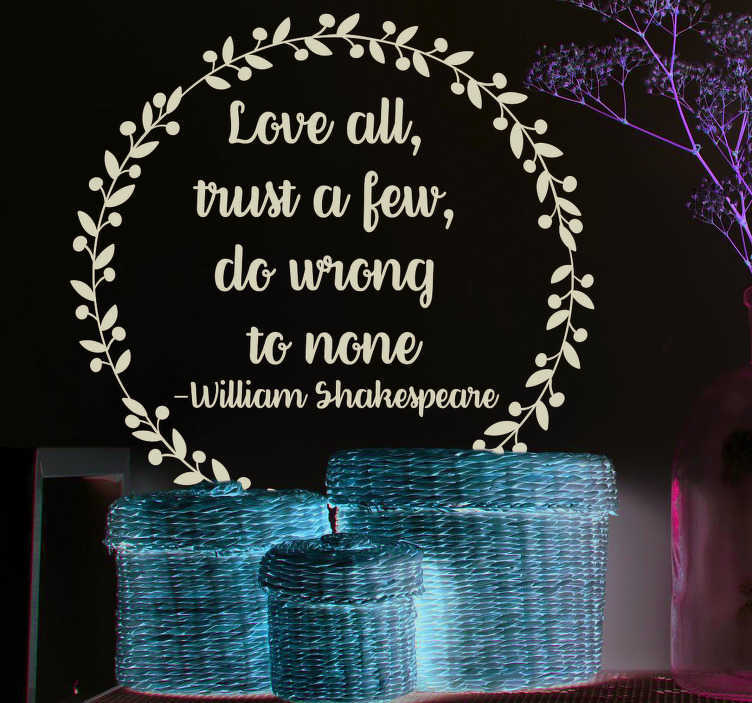 William Shakespeare - One of the most skilled, legendary and globally acclaimed writers in history, if not the most! That is why we at Tenstickers truly believe he is worthy of a superb wall text sticker like this one, depicting one of his most famous quotes! Ideal English home decor for those who need to remind themselves of who to trust, who to love and who to do wrong - To answer in order: A few, all and absolutely none!